Old Trail Photography specializes in on location and studio High School Senior Portraits. We like to take your High School Senior Portrait pictures in a unique environment that is the perfect “fit” for you. We like to create a fun and relaxed environment, while working closely with you to capture your true personality in each of your senior pictures. Our goal to create a unique experience that puts you in the center of attention. With our affordable packages, you can be assured that we’ll capture your personality with a keepsake that you’ll treasure for a lifetime. Our Photographer is an award winning photographer with over 25+ years of professional experience. In addition to High School Senior Portraits, we will also create a unique experience for High School or College Graduates. We can bring the studio to you or do on location environmental portraits. Let’s create a custom session with your clothes, your location, and a look that reflects your personality. Your senior year is a huge milestone in your life. When it’s time to do senior pictures, don’t settle for the same downtown studio that everyone else uses. But you don’t have to be a senior to have a portrait session that focuses exclusively on YOU. Whether you’re 15 or 50, looking for updated social media shots, or just want some great photos to share with family or friends, we can craft a session that exceeds your expectations. Call or Email us today to get a free “Twelfth Year” Senior Portrait Magazine filled with great info to make your experience over the top. We can email or mail you a copy. 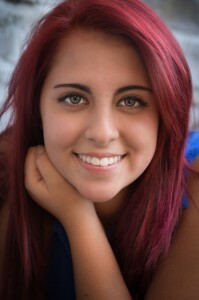 Check out our Senior Portrait Pricing. Check out our Portraits Portfolio. Stay up to date and like us on our Senior Portrait Facebook Page! We’ve got some custom products that other photographers don’t have… We now have as part of select packages, we have fully animated slide shows and pc/smart phone gallery app. Ask for more details. 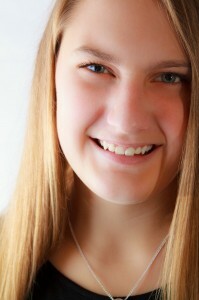 We create Senior Portraits in the following towns and counties in Central Pennsylvania. York, Manchester, Dover, New Cumberland, Mechanicsburg, Carlisle, Harrisburg, Hershey, Hummelstown, in York, Cumberland, Dauphin and Perry Counties and serving all schools including, Mechanicsburg Area School District, Red Land School District in Lewisberry PA, Northeastern Regional in Manchester, Cedar Cliff in Camp Hill, PA and more. For areas more than 60 minutes outside of Manchester, PA can be negotiated as part of the package. Senior Pictures packages are available.